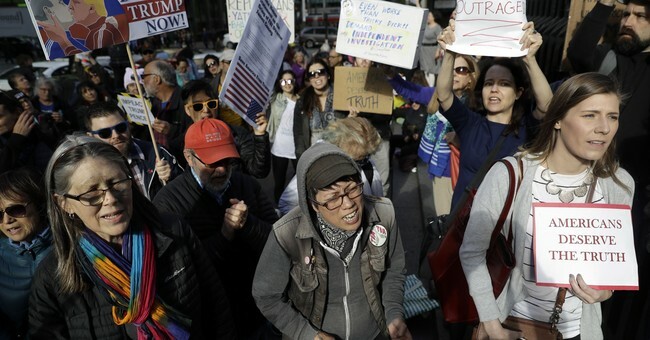 The marchers also want President Trump to be removed from office. “For years, white supremacist violence, rhetoric, and policies have escalated and intensified – exploding during Donald Trump’s run for president and reaching a boiling point in Charlottesville, as courageous people of moral conscience stood up to an army of white nationalists, neo-Nazis, and members of the KKK,” the march’s website stated. When the march began earlier this week roughly 200 people took part, according to the group. But, it turns out not very many people were really committed to ‘confronting white supremacy’ since by the next day, it had lost almost all of its marchers. By Tuesday, the number went down to 35.